Ranked as America’s most challenging military action since WWII, the US is faced with the task of transporting millions of pieces of military assets out of Afghanistan as possible exit routes – including through Russia – are blocked. 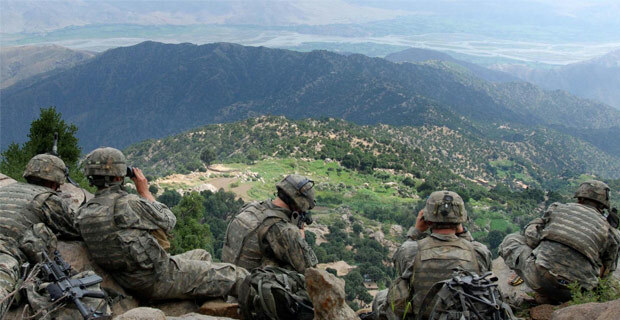 U.S. Army troops in Kunar province, Afghanistan. However, recent violent protests in the Ukrainian capital of Kiev, which led to the overthrow of the government and Crimea voting in a referendum to become part of the Russian Federation – an event that Washington has attempted to label as a “Russian military invasion” – have put a severe strain on Russia-US relations. Outgoing President Hamid Karzai, who last month went so far as to blame the US for purposefully staging terrorist events and blaming them on the Taliban or Al-Qaeda, said he would leave the decision of leaving US troops (and some extra weapons) behind in Afghanistan.